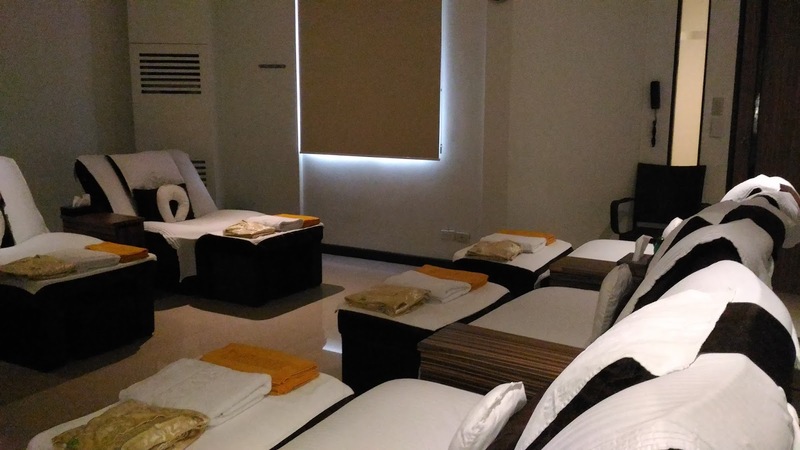 At the back of Virra Mall in Greenhills lies a street full of day spa as well as beauty centers. 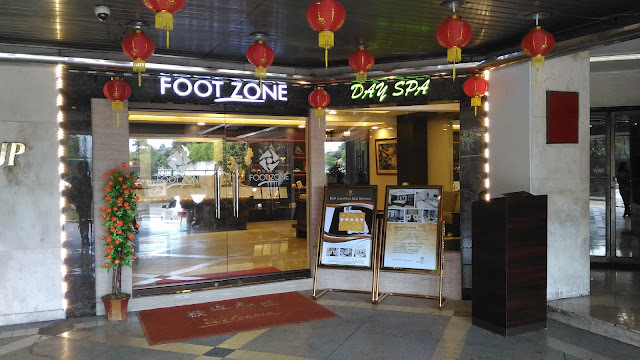 I think I counted over 10 but the one that stood out for me was Footzone Day Spa. Perhaps it is because of the lights that showed it off, the spacious lobby, or maybe, the fact that it has been in existence for 15 years and is always swamped over the weekend. Whatever the reason was, I found myself drawn to the place. The weekend that passed was a crazy one and I was in need of a massage. I heard nice things about this place and since a friend whom I haven’t seen for so long lived nearby, I thought, why not kill two birds with one stone. 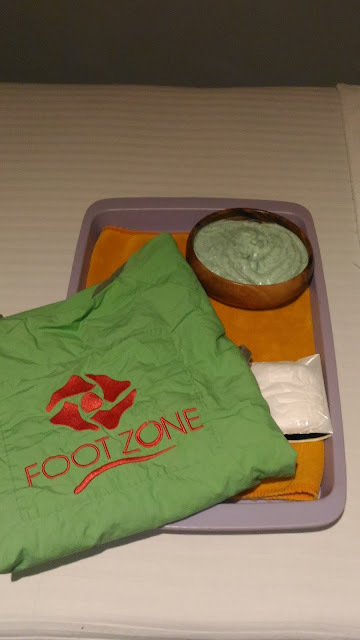 Footzone Day Spa has over 10 rooms for customers to choose from. 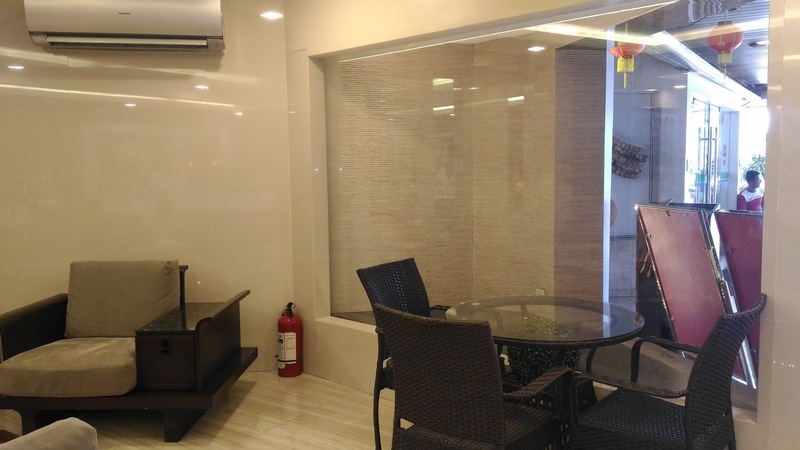 They have a couple’s room, a barkada or family room, and even a BFF room if there’s just 3 or 4 of you and your friends. I have to say that the place was quite nice and a lot better in person. It was clean, spacious, and the smell was divine. Some spa has an overpowering smell of eucalyptus but Footzone Day Spa was more mild and subtle. They are mostly known for their back and foot massage but they also offer body scrub, full body massage, and foot scrub. I tried all three because I really needed to be pampered. 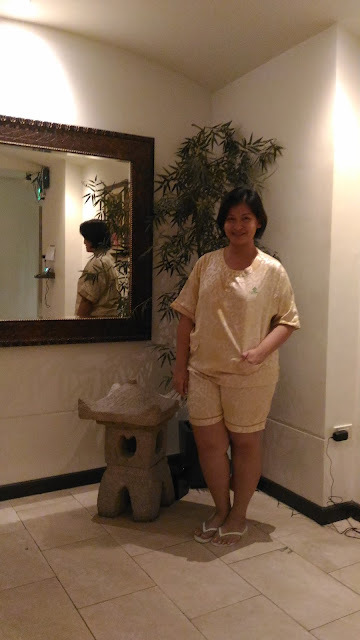 It has been quite a long time since I last had a proper massage so I wanted the whole nine yards for this. We started with the footscrub. The water they had us dip our foot in had tea with it because tea has an added fact to making skin better and since our foot is the most abused part of our body, it needs all the help it can get. After being soaked in tea water for roughly 10 minutes, the footscrub began. 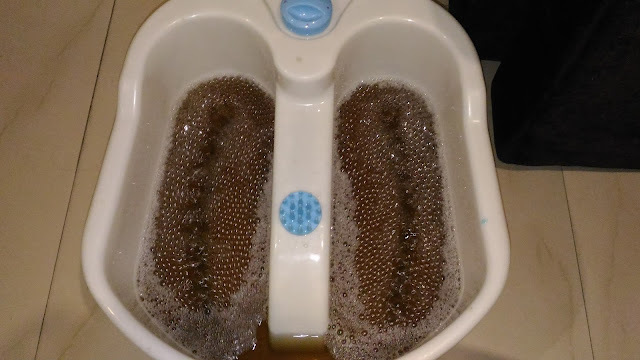 First, they dried off our feet and then they scrubbed it with bamboo scrub. It’s actually very pretty because it’s color blue and you can see the beads being brandished on your legs. The attendant I had was also very gentle, always asking if the pressure was just right for me which I really appreciated. I have had attendants before that treated me like I was some meat that needed softening and it was not a pleasant experience. After they let the scrub stay for 5 minutes, they washed it off and started with the whole foot massage. This was heaven! They also placed hot towels (don’t worry, it won’t burn your skin) and I have to say, hot towels on tired muscles are definitely a must. There is just something about it that completely relaxes you. This whole process takes about 30 – 45 minutes. The second thing we did was to have the body scrub. I don’t know about you but I find the whole process of a body scrub so cleansing and so self-indulgent. I think it’s one of the things that people should do from time to time. 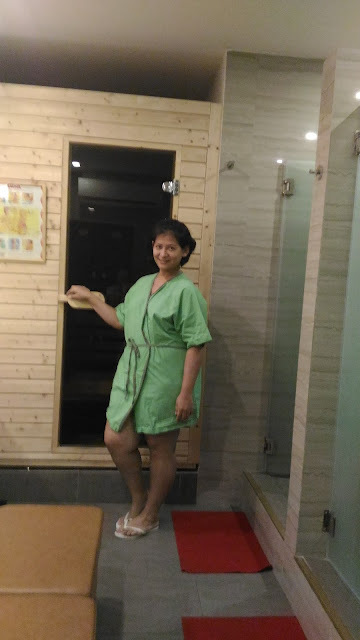 It gets rid of all the dead skin cells in your body especially in the hard to reach places and I think everyone will agree that there is nothing wrong in letting someone take care of you from time to time and a full body scrub simply does the trick. After scrubbing your whole body, back and front, they let you lie for 5 – 10 minutes to let it all soak in. Afterwards, they give you a robe and you can take a shower or if you’d like, stay in the sauna for a bit before showering. Trust me when I say you will feel the cleanest you’ve felt in your whole life after this. It’s like every single layer of dirt has been removed from your body. Your skin is softer and smoother and you just want to glide your fingers on your arms. 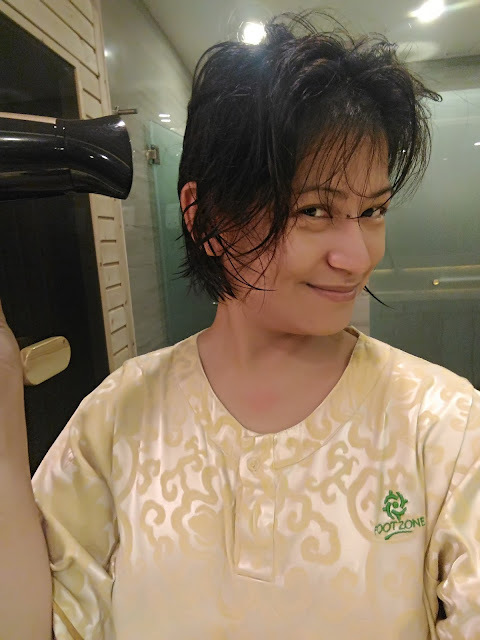 They also provide you with a hair dryer so you can instantly dry up your hair before your massage. The last part of my treatment was the full body massage. Like I said, I haven’t had one in a very long time so I was really looking forward to it and I was not disappointed. I feel so relieved that the attendant that I had was very gracious and attentive. She made sure the room temperature was to my liking and the pressure of her massage was just the way I wanted it. She was professional and not once did I felt self-conscious even though I was stark naked the whole time. There were no unprofessional comments about how healthy I was. 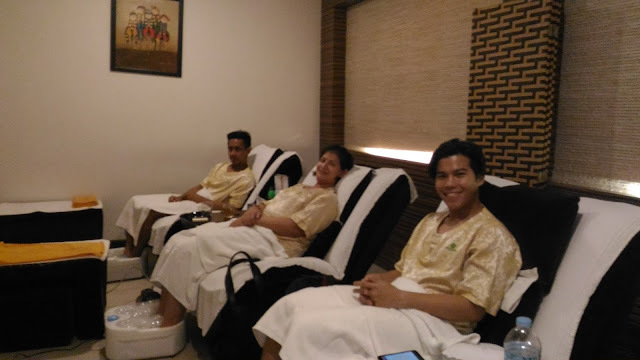 It was just plain pampering and I loved it. Now I understand why their clients keeps on coming back for the last 15 years. The staff are all well trained, the ambiance is very classy and cozy, and the service is great. I don’t think you’d last this long if it wasn’t. At the end of the treatment, they also give you soup and drinks. You can choose from coffee, tea, or water and the soup varies from day to day. Isn’t that awesome? I think it is. I am definitely recommending this place to my readers. The only downside to this place was the location but I have been informed they are looking at opening a branch in Makati and Alabang soon. Now that is good news! Pedi's are my favorite treat to myself! This sounds like a very interesting spa! The photos of the chairs look so relaxing! That looks like a great place. I just love spas! Looks like a wonderful, revitalizing experience! I've only had one such experience and it was in November 2013, in Punta Cana, when huuby and I were there for my middle daughter's destination wedding. I don't know if I could handle just a foot massage - too ticklish! What a lovely experience. My mum would love something like this. What a fantastic way to spoil yourself! You look totally refreshed and very relaxed! seems like you had a great time! the place looked great as well. Look so luxuriating. Seems you have a great time. Sounds like an amazing place to go to if you want to relax and pamper yourself! I would love to try the body scrub, it's perfect if you want to exfoliate your skin. Sounds amazing! Time to make an appointment! 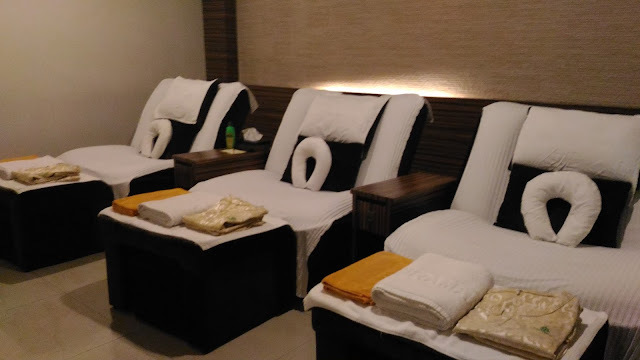 I love going to the spa and am definitely overdue a treatment. I like that they give you soup too! Oh, I would like to try this. Good thing that Greenhills is just near my sister's house. Wow! This place sounds heavenly! I would b so nervous to go through, lol. That's cool that you can have a room to yourself with your best friends. I have never heard of a spa that offers soup afterwards…that is pretty cool. That looks like such a relaxing day! I love that they offer you soup as well!